ATCOM and Cisco Meraki, know how much IT teams value their time and resources. That’s why we are dedicated to building solutions that improve every aspect of network management. Each Meraki solution is built for cross-platform visibility and interoperability in a way that maximizes control and minimizes operational overhead. Curious about what those benefits could be? Read on to learn how you can get more value out of the Cisco Meraki platform by extending those same benefits to security, switching, and WAN management. Traditional IT management systems have taught us to think of the different layers as different solutions — wireless is separate from switching, which is separate from security, and so on. In reality, however, these layers of IT are really components of the same solution: the network, which at its core is a delivery vehicle for content and services. Combining analytics data from wireless access points and wired network infrastructure provides a holistic view of client and traffic activity across the network, regardless of whether the devices involved are connected wirelessly or via an ethernet cable. This not only offers a clearer picture of activity and usage, it also makes it much easier to troubleshoot potential issues. With the network topology feature included in Meraki MS switches, tracing a client’s path to the internet or a local service is easy. Administrators can drill down into any Cisco Meraki device along the path in order to view traffic flow data, retrieve interface statistics, run cable tests, or even take a packet capture — all without ever leaving the dashboard interface. Deploying and managing effective network security can be difficult. Administrators need to configure a broad range of different security features, have immediate access to event data, and keep up with the latest definitions in order to ensure protection against new threats. With Meraki MX Security Appliances, security is simple to implement, monitor, and maintain. It’s also in the same interface as the network management, making it easy to understand the context behind a security event and respond to it quickly. Simple management, however, is only part of what the MX offers. Behind this intuitive interface lies a powerful suite of Cisco Security technologies: Advanced Malware Protection (AMP) for file scanning and malware blocking, Threat Grid for sandboxing and dynamic malware analysis, and Cisco’s next generation intrusion prevention system (NGIPS) for preventing intrusion attempts and other network-based attacks. By continuing to integrate new security capabilities and leveraging the ongoing threat research done by the Talos threat intelligence team, we ensure that our customers are always protected against the latest threats. One of the greatest benefits of a cloud-enabled platform is that it continues to evolve to meet the needs of its users. With Cisco Meraki, both the products and the cloud management dashboard are updated constantly to add more value for new and existing users. 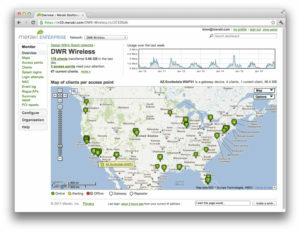 The addition of such developments as physically stackable switches, wall plate and multigigabit access points, built in SD-WAN capabilities on the MX Security Appliance, and wireless location analytics with integrated bluetooth low energy beacons have drastically increased the reach of Meraki solutions by allowing IT organizations to deploy them in an increasingly wide array of environments. We’ve also invested heavily in our APIs to make the solution even more flexible. With technology becoming increasingly central to many of our customers’ day-to-day operations, IT infrastructure has become the foundation of an array of services tailored specifically to their needs. Provisioning, analytics, and monitoring APIs provide customers with a simple way to bring those services to bear, whether they are developed in-house or offered by a partner. 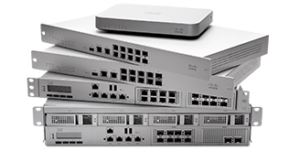 Want to try out these capabilities and see how Cisco Meraki can simplify your networking needs? Schedule a time to talk to someone on our team.